So You Think You’re Pro-Life? You're probably more pro-choice than you think. You would be hard pressed to find anyone, Christian or not, who is for abortion. That is why the opposing view to what is typically called “pro-life” is called “pro-choice”. Someone who is pro-choice believes that a woman has the right to choose whether or not an unborn baby gets to live or die. Opponents of the pro-choice view say that no one has the right to choose whether or not an unborn baby gets to live or die. Outside of the Lordship of Jesus Christ, being pro-life or pro-choice is a matter of opinion. Loving unborn babies and thinking they should live and that we shouldn’t kill them, is quite an easy stance to take. Someone who is pro-life has a half of the news media on their side, half of Congress on their side, and every 4-8 years, a President is on their side. Is being pro-life really that easy? 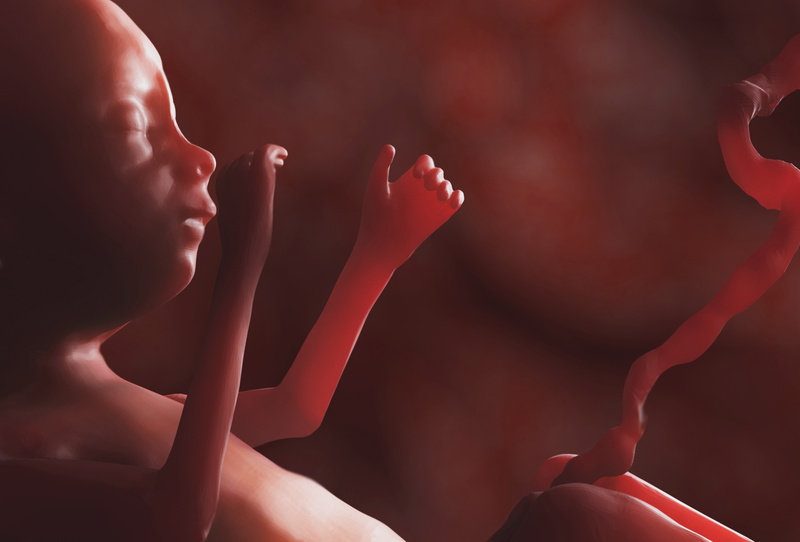 Where in Scripture does it actually say that we shouldn’t kill unborn babies? Give them, Lord— what will you give them? Give them wombs that miscarry and breasts that are dry. Here we see that God will punish women by aborting their fetuses through a miscarriage. Sounds harsh. Here God promises to destroy the infants of Samaria and rip open the stomachs of pregnant women. That wasn’t the only time either (2 Kings 15:16). “Well that was during battle, surely God would never be in support of abortion if it were his own people, right?” The fact of the matter is, you’d be hard pressed to find support for the pro-life position in the Old Testament. You might actually find support for the pro-choice position instead. In Numbers 5:11-21, God teaches the use of a bizarre ritual using cursed “bitter water” to abort fetuses of mothers who were suspected to be conceived through infidelity. Here you can find seemingly clear cut support for the pro-choice position. If you just use the Bible, you can easily find support for abortion. So where do Christians get support for a position of pro-life? You can scour the Bible with a fine-toothed comb, yet you will not find any passage that describes a prohibition or penalty for a woman who chooses to terminate her pregnancy. In some places, the Bible seems to allow and even demand that abortion take place. How can Christians claim that the pro-life position is Biblical? You can’t find support until you look at the ethics laid out by Jesus. The Prince of Peace had a lot to say about the value of human life. From reading the Gospels, you can tell that Jesus loves everyone from saints to sinners. “Do to others what you would have them do to you” (Matthew 7:12) pretty much sums it up. Combine that with the command of “you shall not murder” (Exodus 20:13) and that should be enough to know that abortion is wrong. Christians apply generic principles (don’t murder) to a specific situation (abortion). This is a good thing, except that a lot of Christians don’t extend this principle of valuing human life to other ethical situations. Christians are known for being anti-abortion, unfortunately they are not known for being pro-life. The world has a single qualifier for being labeled pro-life: being anti-abortion. Jesus has many more qualifiers for being labeled pro-life. Jesus isn’t just pro-birth, he is pro-life to the core. According to Jesus, don’t kill unborn babies. Or born babies. Or grown up babies. Or anyone who was once a baby. Jesus requires that his followers love, and not kill, even their enemies. To his original audience, the Jews who were oppressed by their terrorist occupiers, this would have sounded like an insane command. Thus, by Jesus requiring that we love our enemies, he was raising the bar much higher than just being against abortion. If you love those who love you, what credit is that to you? Even sinners love those who love them. And if you do good to those who are good to you, what credit is that to you? Even sinners do that. But to you who are listening I say: Love your enemies, do good to those who hate you, bless those who curse you, pray for those who mistreat you. Being pro-life according to Jesus, means valuing all human life, even those you’d rather live without— from unwanted babies to terrorists. To be pro-life you have to value life, which means: Don’t abort babies. Don’t build nukes. Don’t execute people. Help the immigrant. Care for the sick. Give to the poor. We cannot say we are consistently pro-life when in one breath we condemn abortion, and with the next we support the death penalty, or so-called “just war”. The early Church realized this was inconsistent, especially when they were often under the blade of the death penalty. One reason many evangelical Christians today feel they can support the death penalty or killing in war is because the state doesn’t classify such killings as murder. After all, the Bible says “you shall not murder“. Since the death penalty isn’t murder, we can support it, right? Therefore, killing and murder are the exact same thing except that murdering is against the law. Christians are under the law of the land they live in (Romans 13:1-7), and they also are under the law of Christ (Mark 12:28-31). Does our pro-life qualifications come from the law of the land, or the law of Christ? When Christ requires that we love everyone, even our enemies, that rules out killing anyone. If we hold true to the law of Christ, all killing becomes murder, because it is against the law of our one true King. The state says that abortion is lawful and that it is not murder. Christians say it is murder because under the law of Christ, it is unlawful. Most Christians ignore the world’s classification of what killing an unborn baby is and declare it murder and a sin. The Christian position is to recognize the law of Christ rather than the law of man. As the apostles said, “We must obey God rather than human beings!” (Acts 5:29) Why does this correct prioritization fall apart with any issue other than abortion? The state says that killing unborn babies is lawful. The state says that the death penalty is lawful. The state says that killing enemies in war is lawful. Seeing a pattern? The world says that killing isn’t murder, Jesus says that it is. With abortion, most Christians get it. When it comes to the death penalty or war, most Christians don’t. There is a reason for this inconsistency: most Christians are actually pro-choice. A Christian is pro-choice when they say “It is the mother’s right to decide whether or not a baby lives or dies.” This is a pro-choice position. A Christian is pro-choice when they say “It is the state’s right to decide whether or not a criminal lives or dies.” This is a pro-choice position. A Christian is pro-choice when they say “It is the state’s right to decide whether or not to kill our enemies.” This is a pro-choice position. The world doesn’t classify abortion as murder, but Jesus thinks it is anyway. Much in the same way, the world doesn’t classify killing in war as murder, but Jesus thinks it is anyway. The pro-choice position says that unborn babies are worth killing because the ends justify the means. The baby is worth killing to achieve what the mother wants for her life. The pro-choice position says that enemies are worth killing because the ends justify the means. It is the right to choose who lives or dies. Jesus says this right is not ours. “Jesus said not to kill people and love them instead but since I’m an abortion doctor it’s okay to kill them.” If you think that is an absurd statement, just realize that the same source of ethics that leads you to that conclusion should make you think this statement is equally absurd: “Jesus said to not kill people and love them instead but since I’m a soldier it’s okay to kill them.” If you don’t think that is also absurd, you’re probably pro-choice. We are not simply to be pro-birth, Jesus calls us to be consistently pro-life.